Pascuita, Snows of Kilimanjaro, White Small Leaf Poincettia, Snow Bush. 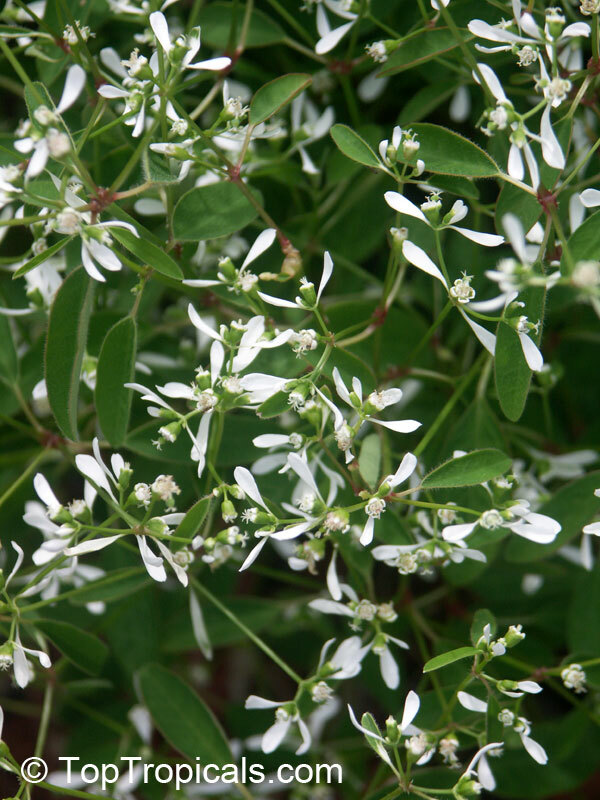 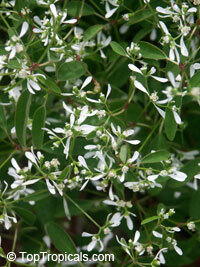 Shrub with decorative white bracts. 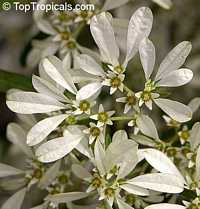 Unusual species with tiny small leaves, white on top, reminding popular Poincettia. 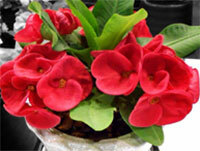 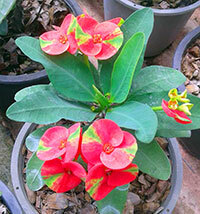 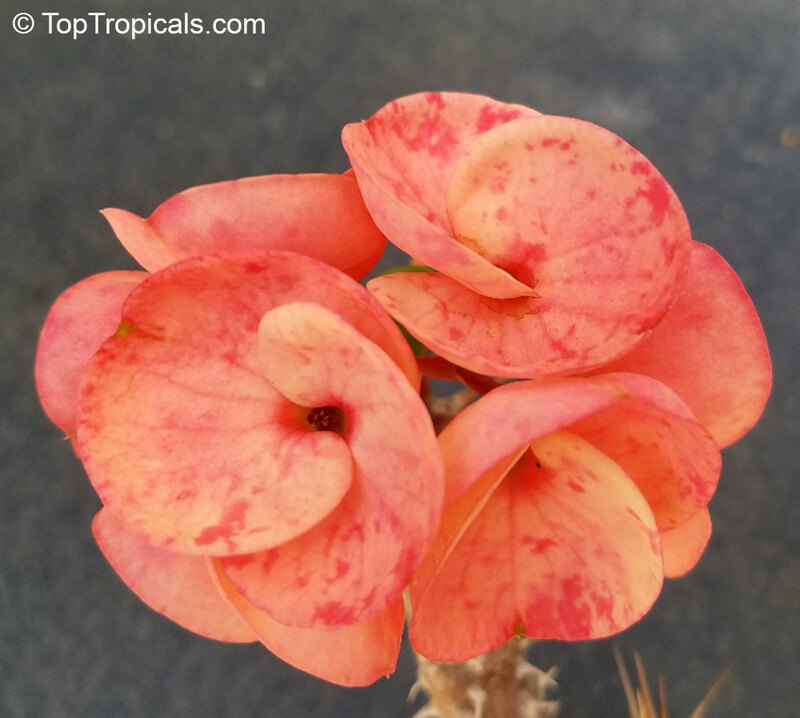 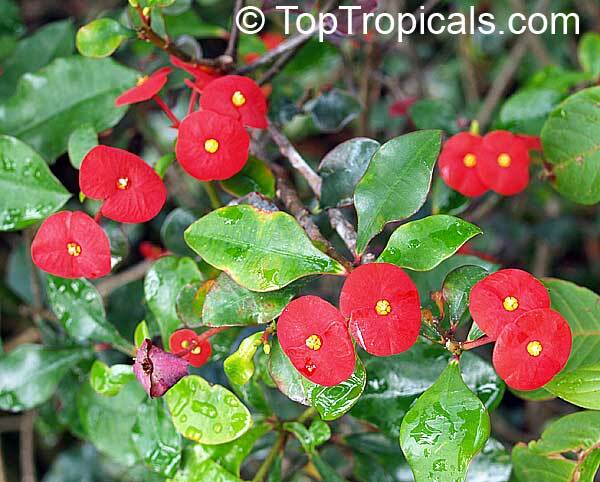 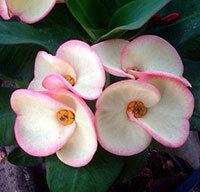 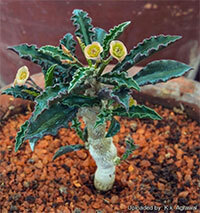 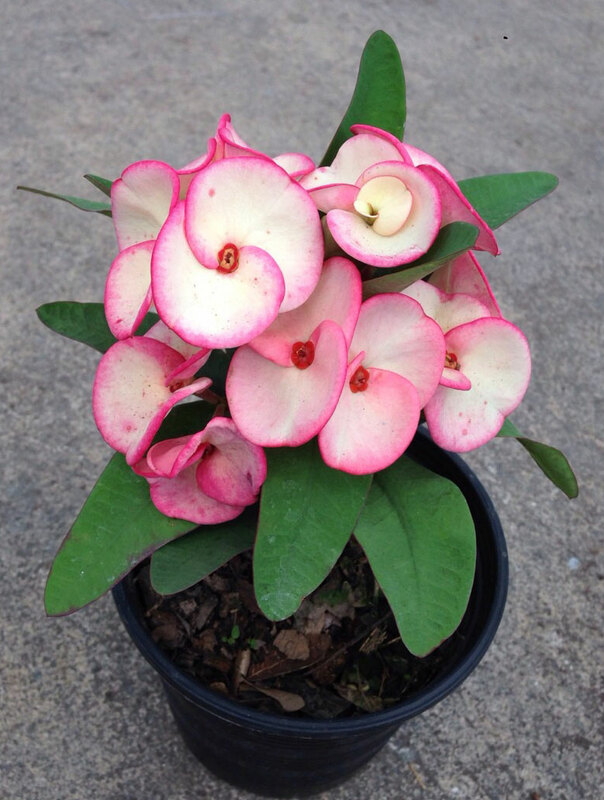 Unlike many other euphorbias, this plant is very fragrant. When it is in bloom, the air around is filled with a sweet pleasant smell. 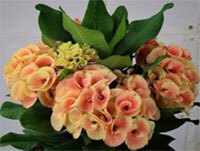 It is a close relative of the well-known and equally eyecatching, Poinsettia. Snows of Kilimanjaro, Pascuita, Snowflake Tree. Rare unusual shrub with tiny small leaves (decorative white bracts), white on top, reminding popular Poincettia. 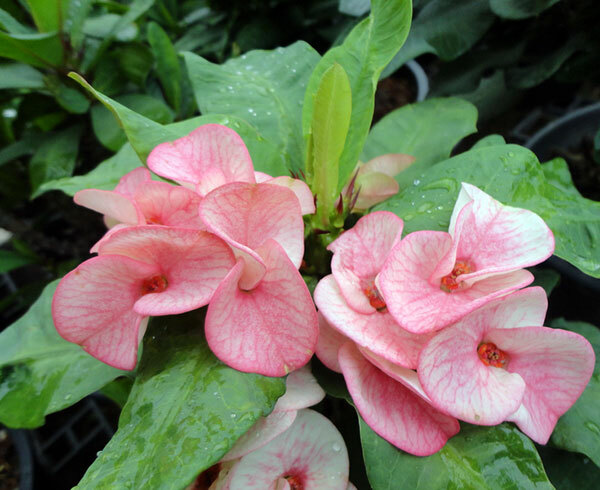 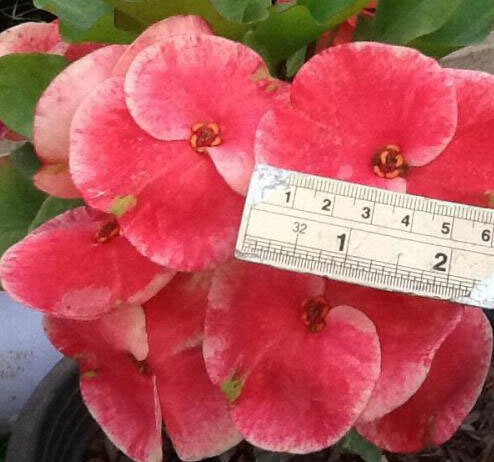 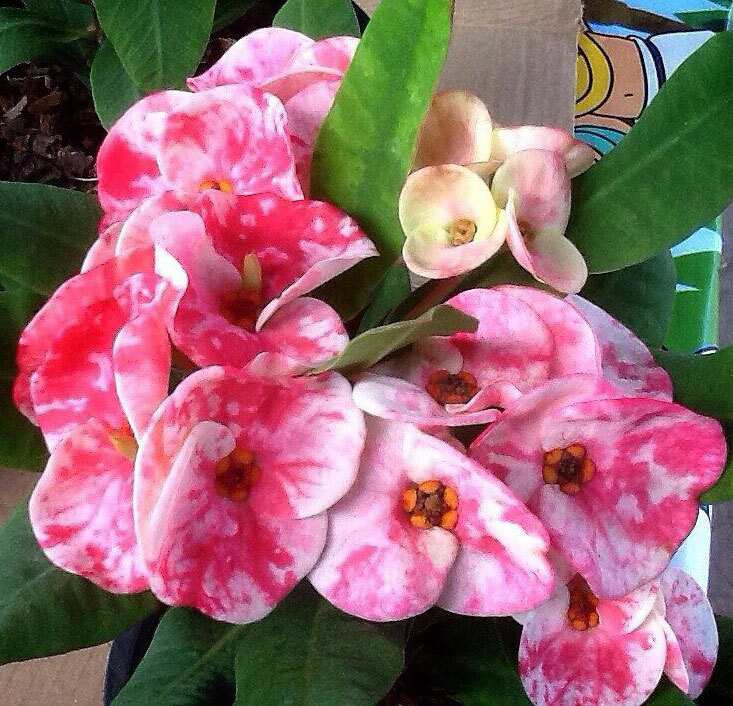 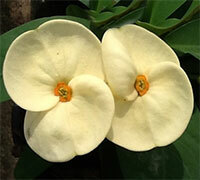 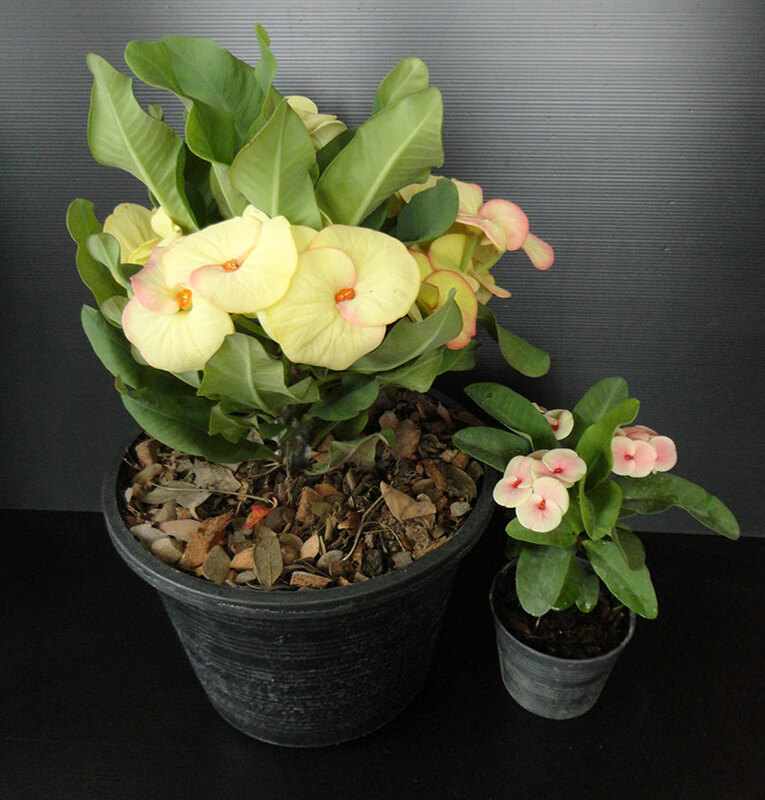 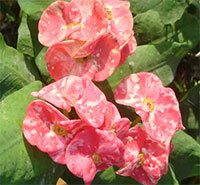 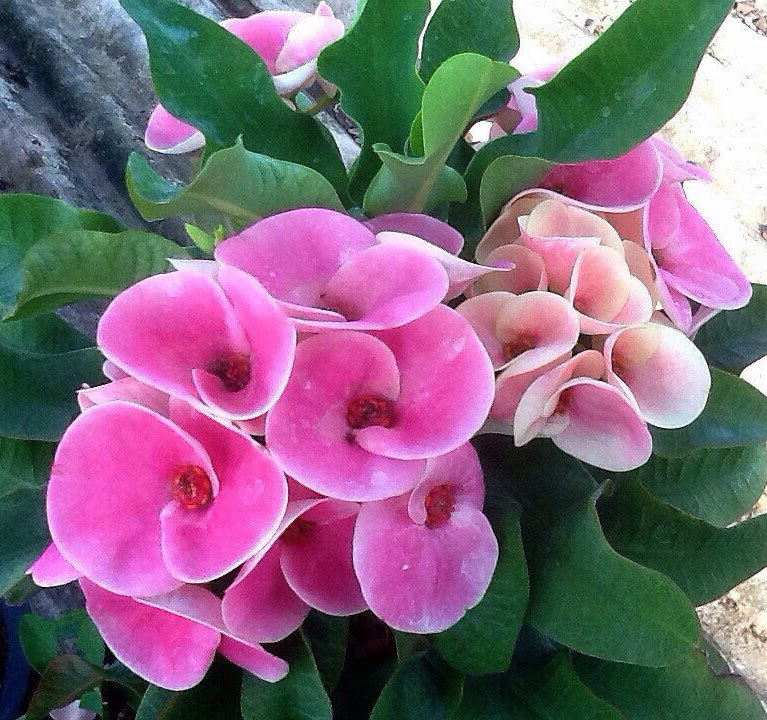 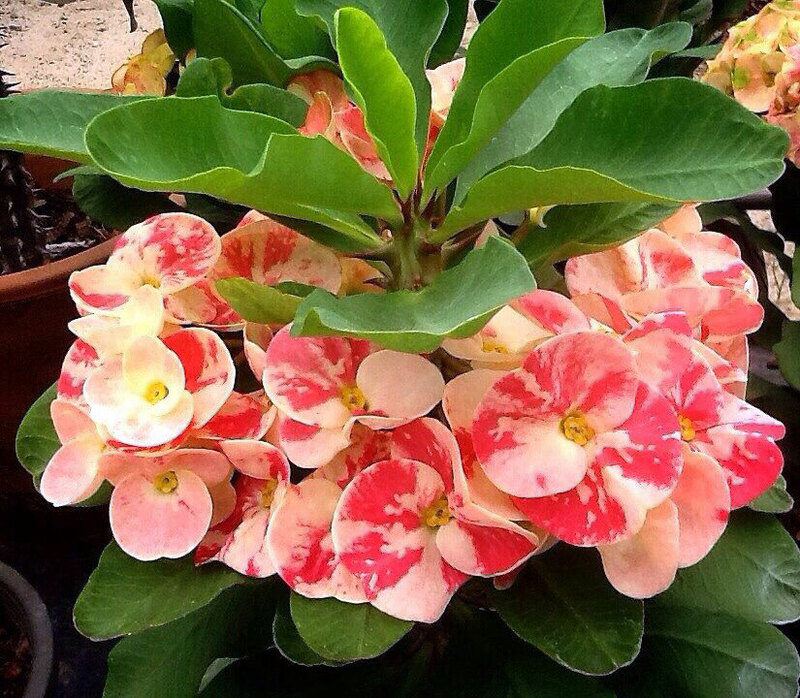 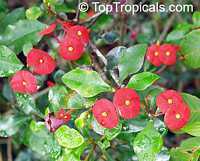 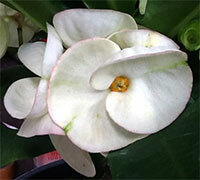 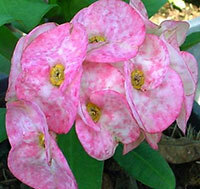 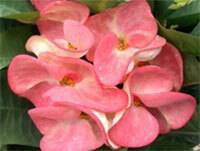 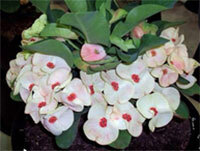 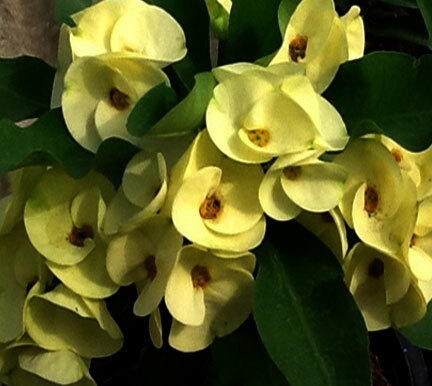 Unlike many other euphorbias, this plant is fragrant. 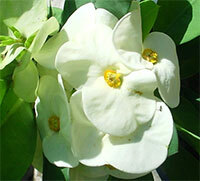 When it is in bloom, the air around is filled with a sweet pleasant smell. Attracts butterflies. 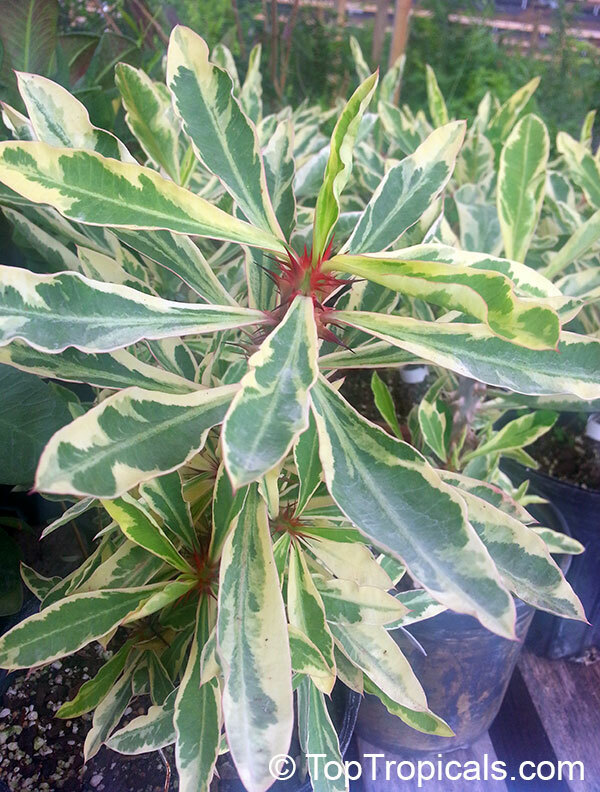 This plant completely loses leaves for winter, re-leafs in spring.